Planning the big day before the actual Big Day? If your Groom or Hen is looking for something a little different, intense and active then Archery Tag is your answer. 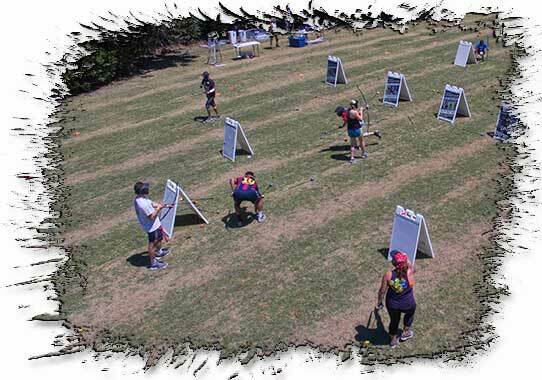 Archery Tag game play variations like Medic, Capture the Flag, Duel and more. Special "punishments" and gorgeous (it's really quite lovely) outfit for the groom or bride. Photo/Video Packages available on request. Say NO to a picnic lunch or a treasure hunt round the office! 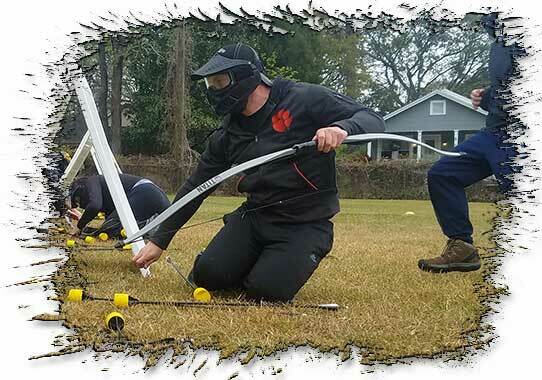 A Combat Archery event will give you and your colleagues a fun, intense activity to help bond new team members or remember why you once loved your old ones. 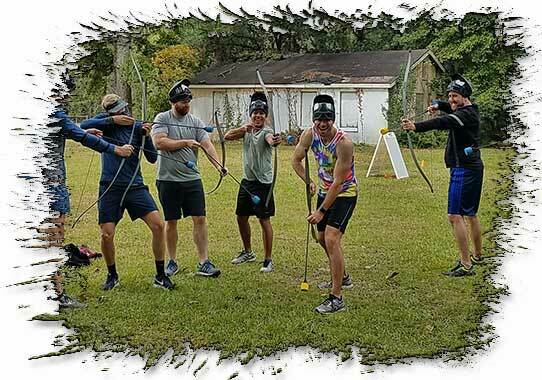 Any kind of workplace that has around 10 or more willing participants... team members will be tested, possibly shot multiple times, and hopefully crowned the day's Combat Archery Champions. All equipment, safety instruction, multiple rounds of Archery Tag. Game play variations to foster team bonding... VIP, Infection, Medic and more. Unfortunate "punishments" for the manager/boss/organiser. Yeah buddy! Get your mates together for your birthday coming up, they are in for a treat! It's a chance to team up and take some real shots (of the foam tipped variety, then the liquid kind). A group of 10 - 40 adults (or more!) who are ready to be split into teams before pelting each other with our fierce Combat Archery arrows. Tons of rounds of Combat Archery with time to stop for drinks if you really need it! The birthday boy/girl may possibly receive "punishments" for being 1 year older. Travel to you in Charleston and all equipment. 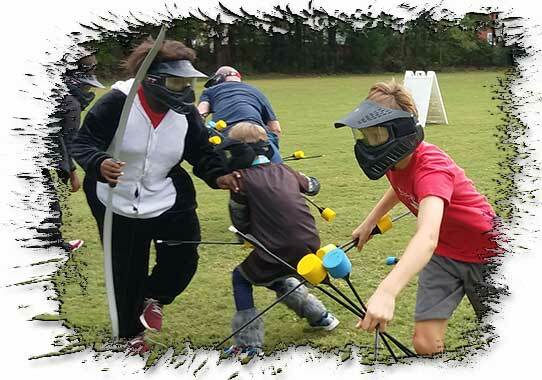 Combat Archery is the newest and hottest combat game, that kids LOVE (and gets them outdoors too). Kids aged around 10 and up, and groups of 10 - 20 (or more!) who are looking for something new and different. The kids will get instruction on how to use a bow, so no experience needed! Staff to help the kids learn how to use the equipment and run the event. Travel to you, set up, pack up; so it's all done for you. We cater to small and large groups of kids for a range of events, either day or evening and we will adapt the game to suit the number of players. 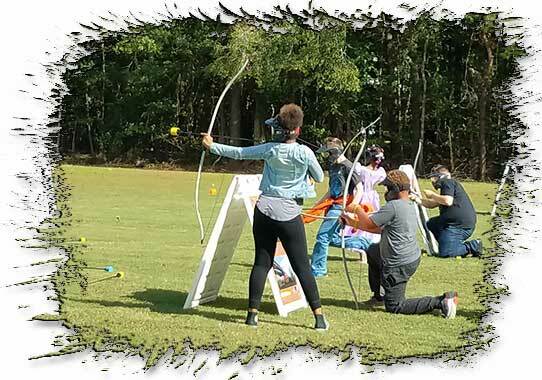 Combat Archery is a fantastic team bonding activity for kids. Teenagers and kids aged 10 and up can have a go at Archery Tag, with no archery experience needed. Our bows are simple recurve bows - very easy to use. We can do groups of 10 - 20, 30, 40 or even more! Our staff take the time to teach the kids, run the games and make it an overall "awesome event!" We'll come to your church, hall, oval or courts to set up all equipment and run the event. Specialised trust and team strengthening activities within the combat game! If your students haven't tried Combat Archery yet, they're missing out! We absolutely love coming to schools to give a class, whole year or more the experience of safe, friendly, team combat. If you've got at least 10 colleagues or more who are keen to get outdoors and release the year's worth of loving feelings towards one another... then hit us up! Students receive all instruction, practice and many Archery Tag rounds of play. Travel, set up, pack up, staffing - no need to hire buses! We can use your hall, field, or courts to play. 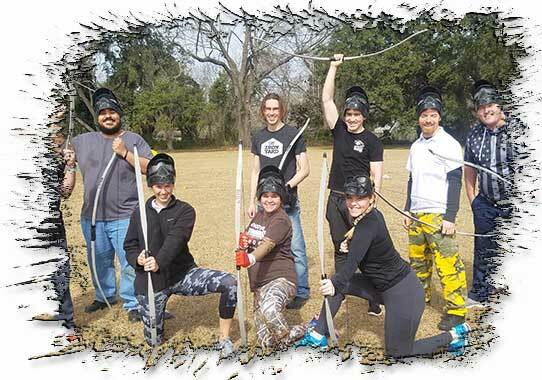 Instead of the usual lunch out, grab your workmates together for a Combat Archery event! We'll come to you so all you need to do is choose your date and let us know.